The current Children’s Laureate Julia Donaldson will be in Leeds next week paying a special visit to Holt Park Community Library next week. The bestselling author of over 150 books including ‘The Gruffalo’, ‘What the Ladybird Heard’ and ‘Zog’, will be at the library off Holtdale Approach on Tuesday morning for the invite-only event as part of her autumn tour of libraries in England, Scotland and Wales. Schoolchildren from Adel Primary, Adel St John the Baptist, Cookridge, Holy Name, Holy Trinity, Iveson and Ireland Wood Schools will be at the visit, which will see Julia bringing some of her hugely popular stories to life through special dramatisations. They will also be showing off their own acting and singing skills during a short performance inspired by children’s literature. Children's Laureate Julia Donaldson will be available for media interviews at Holt Park Community Library from 8:45am on Tuesday 16 October. The library is located off Holtdale Approach, LS16 7RX. 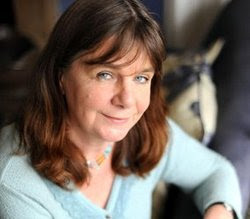 “We are thrilled to be welcoming Julia Donaldson to Leeds, it is a tremendous honour and a huge coup to have secured a visit by the current Children’s Laureate. Previous other Children’s Laureates include Quentin Blake, Michael Morpurgo, Jacqueline Wilson and Michael Rosen. For more information about Julia Donaldson’s visit to Holt Park Library please contact Debbie Moody deborah.moody@leeds.gov.uk or call 0113 395 2337. For media enquiries about the Children’s Laureate Libraries tour please contact Alice Ingall at Booktrust on alice.ingall@booktrust.org.uk / 020 8875 4827 or Anwen Hooson and Liz Hyder at Riot Communications on anwen@riotcommunications.com / liz@riotcommunications.com / 020 3174 0118.